It was a miracle that no one was killed. 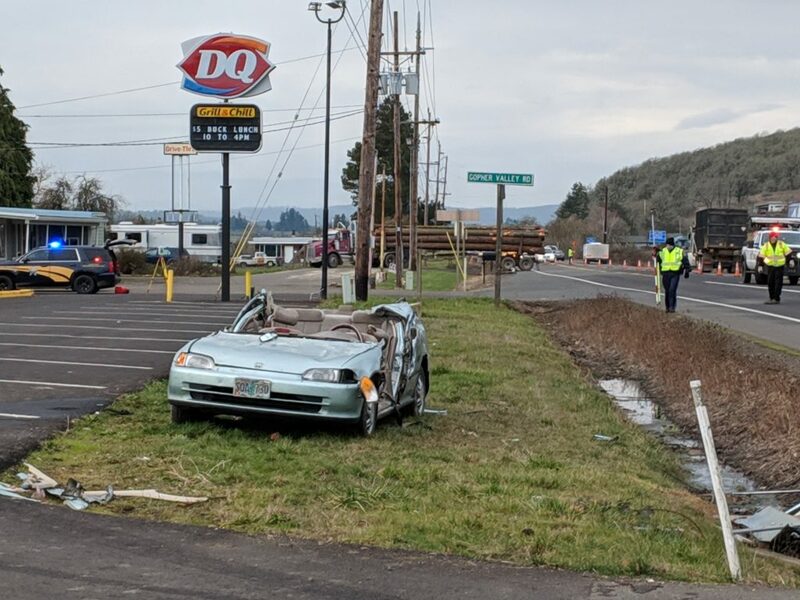 Those are the words of Oregon state Police McMinnville Station Commander Fred Testa as he talks of the Wednesday morning crash of a log truck and a four door sedan near Sheridan. 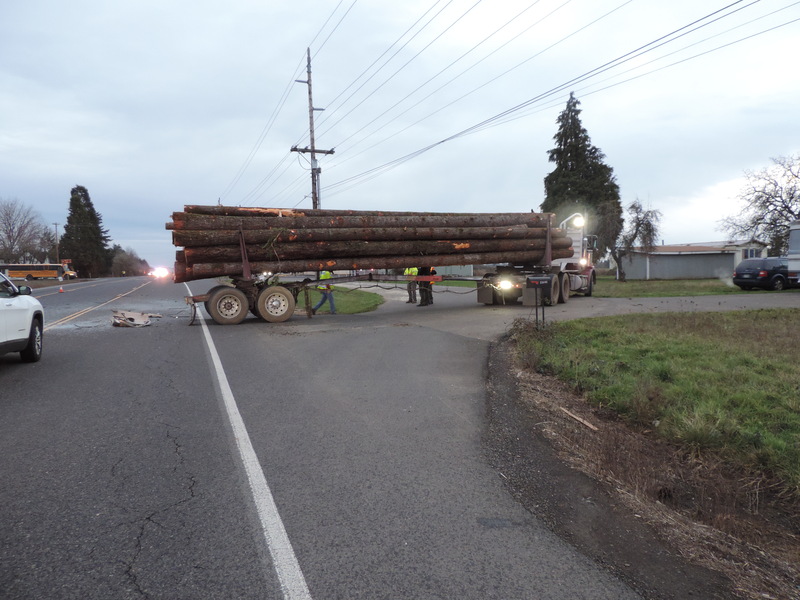 A little after 7 am, 50-year old Loren Hutnick was driving a loaded log truck westbound on highway 18 for H and H Heavy Haul of Eagle Creek, Oregon. He thought he missed a turn, so made a left hand turn to go back and make the correct turn. He turned into a gravel driveway near the Dairy Queen restaurant. There was not enough clearance to make the turn in one attempt, so Hutnick was backing and pulling forward to get his load turned around. 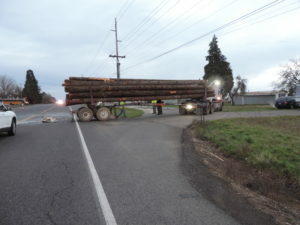 At that time, a 1992 Honda Civic driven by 56 year old Julian Santos Senior of Sheridan was eastbound and went under the lumber load of the truck. The impact sheared the roof of the car off at the bottom of the windshield. The car went another 100 yards before it stopped on the south side of the road. Julian and his wife, 52 year old Gloria Santos-Morales were in the front seats. Seated in the back was 16 year old Julian Santos, their son. Julian and Gloria received severe injuries and are currently in critical condition at OHSU in Portland. Both were take there by Life Flight. 16-year old Julian was taken to Willamette Valley Medical Center in McMinnville and was released from the hospital Thursday. The accident is still under investigation. 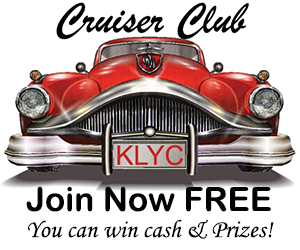 No citations have yet been issued. You can see the roof of the car laying in the highway behind the log truck.